Hi! Stephanie from Swoodson Says again, and I'm ready to start sewing for Spring. 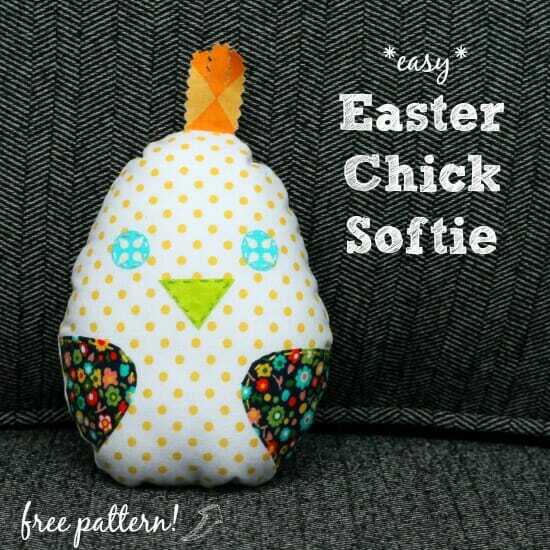 This is a super cute, easy chick softie to sew and stuff in a kid's basket! Just want to gift a Spring surprise? 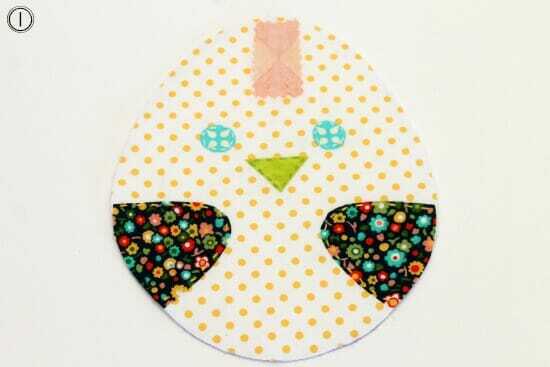 It would make a fun shirt applique or bean bag toy too. 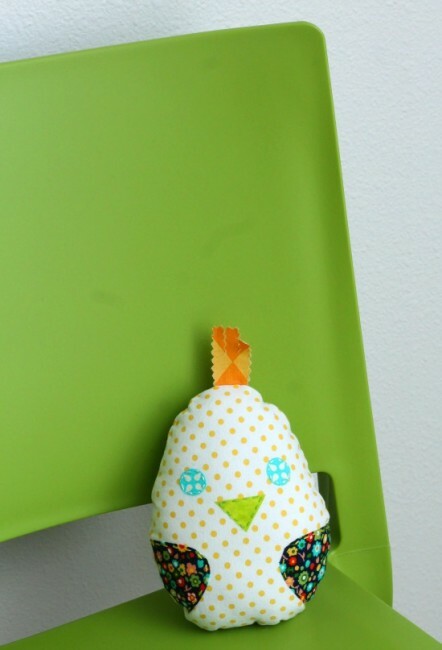 If you're looking for more bird ideas, I sewed up a sweet hen & baby chicks softie toy, check it out in this post! These juggling balls would make a great Easter basket stuffer too. You can download the template from my design account on Craftsy. Add it to your cart and check out - it's free. The pattern will be saved in your Pattern Library safely until you are ready to sew, then you can download and print it at any time. 1. 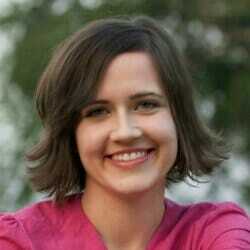 Cut out the tuft rectangle with pinking shears, cutting two slits down the top to create 3 pieces of “hair”. Place it right sides together in the center of the chick's head. Cut all other pattern pieces out and applique on to the main body – I used Wonder Under to transfer them (if you haven't used it before, you can see a tutorial in this post) but you could also simply pin & sew by machine or hand. I also added fusible fleece to the main body pieces because the fabric was very thin, but that is also optional. 2. Place the other main body piece right sides together with the appliqued front and pin or clip all the way around, keeping the tuft centered. Leave a 2″ gap somewhere, making sure to sew and backstitch at beginning and end to keep it secure. 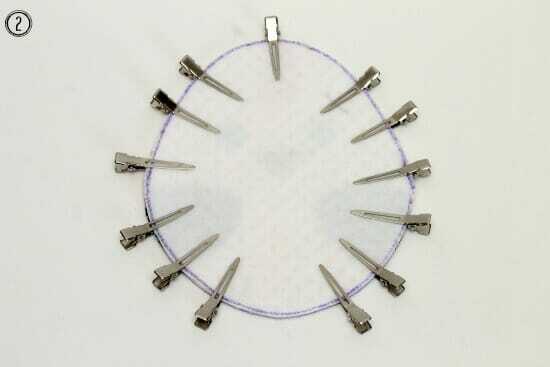 Sew with 1/4″ seam allowance and a short stitch length. 3. 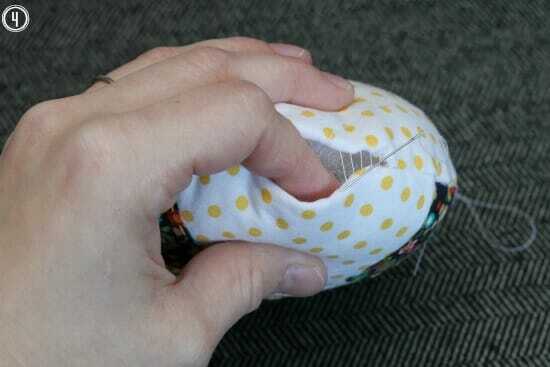 Clip notches out of the seam allowance all the way around, being careful not to clip through the stitching. 4. Turn the chick right side out through the gap you left, press any wrinkles out. Stuff firmly with Poly-fill and use a ladder stitch to close. Fluff and enjoy! You could make several and have an Easter chick hunt – much easier to find and won't break like those cheap plastic eggs. These are soo cute! Love this for the upcoming holiday! Thanks for pinning on the P3 Party Board I will be featuring you Friday on the blog! Wow, that’s awesome. Thanks so much Kim, I really appreciate it. Super sweet and a great alternative to chocolate eggs. I made one of these tonight and it turned out so cute! This little guy will be going to a charity and I just know some child will love it. Thank you for the free pattern.